One of the most important things for a jazz musician (or any musician) to develop is their ears. 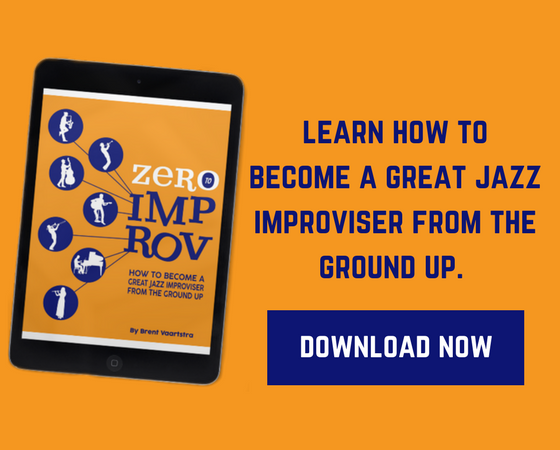 Improvisation requires the ability to create melodic and rhythmic ideas on the fly, and in order to do this, we need to be able to hear the music we are trying to create. If we can’t hear melodic information in our heads, it’s going to be hard to improvise melodies right? A jazz context especially demands good ears. Jazz is all about interaction and responding to the musical environment at hand. Perhaps the soloist begins to outline some alternate chord changes, and the band may want to follow accordingly. Or perhaps the pianist just played a dominant 7(#11) chord and the soloist may want to respond to that. Or a musician may be the only one not to know a particular tune at a jam session, and will have to learn it on the spot. These are just a few examples, of how having great ears is important as a jazz musician. 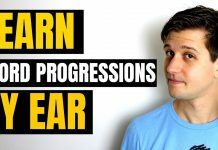 There are some very practical and applicable ways to improve your ears in a jazz context, such as learning solos by ear, or learning jazz standards by ear. 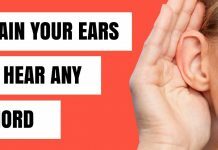 These are highly important practices, however, at the end of the day we need to be working on the fundamentals of ear training. 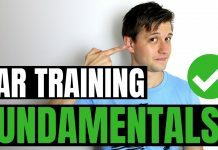 Fundamentals are pivotal to success at anything, whether it be fundamentals of your instrument, or in this case, ear training. 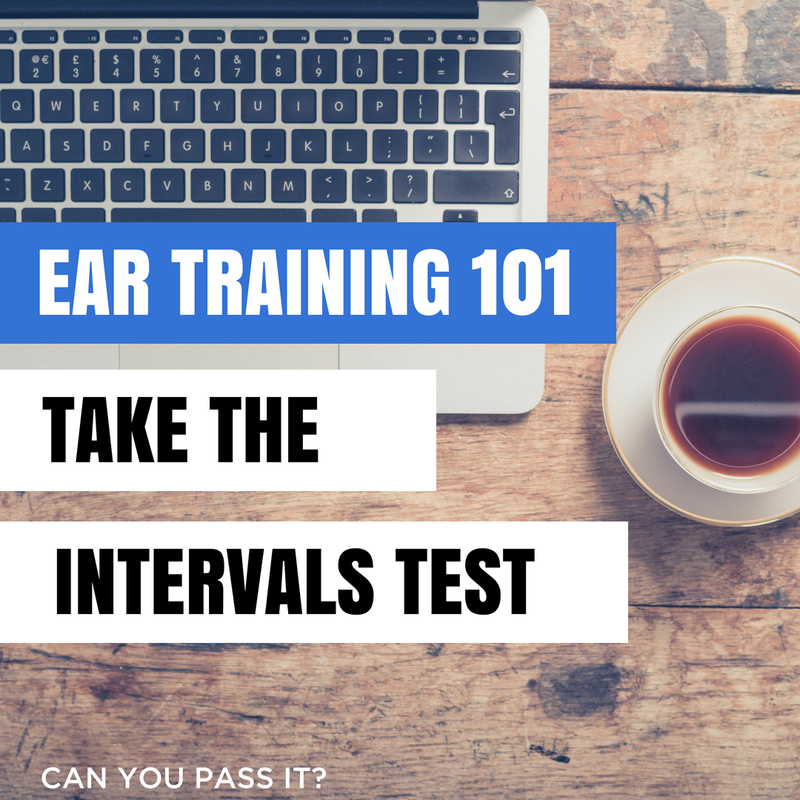 One of the most basic (but important) fundamentals of ear training is interval recognition. What do I mean by interval recognition? You need to be able to recognize by ear when you hear a major 3rd, a perfect 4th, or a minor 6th interval…etc. Interval of course means, the difference between two pitches. So what are all of the possible intervals? Minor 2nd, Major 2nd, Minor 3rd, Major 3rd, Perfect 4th, Tritone (b5 from the root), Perfect 5th, Minor 6th, Major 6th, Minor 7th, Major 7th, Octave. But it goes even further than that. We need to be able to recognize what these different intervals sound like going up in pitch from the original note (root) and down in pitch from the original note. Ultimately, this comes down to memorization. As you know from simply being a human, memorizing is either done by lots of repetition, or you can use associations to help you memorize, like songs. So are you ready to take the interval test? Let’s see how you do! Below are audio examples of all of the different types of intervals. Keep in mind the root notes will change. In other words, the first note played is the root, and the second note will define the interval. We will also separate intervals that move higher in pitch from the root note (up) from those that go lower in pitch (down). They have been shuffled up so that they are in no particular order. If you did take the test, leave a comment in the comment section below with how many you got right (ex. 15/24). How did you do? Remember to post your results in the comments section below. If you are unhappy with your score and feel like you need to work on your interval ear training, all is not lost! 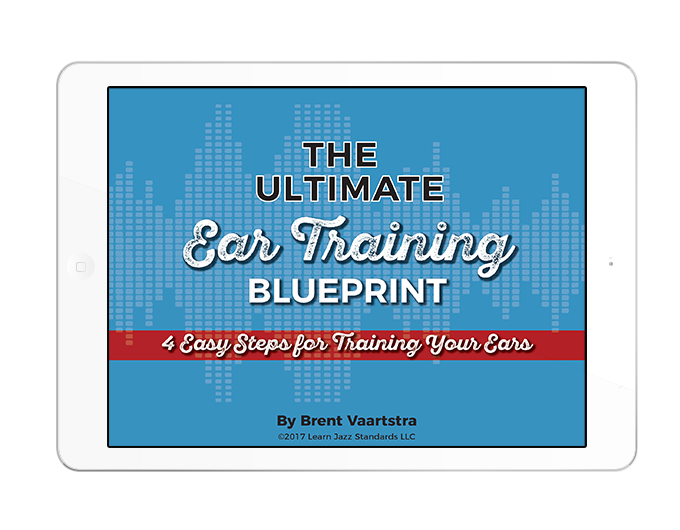 Our free “Ultimate Ear Training Blueprint and Video Training Series” will help you get headed in the right direction, as well as help you with recognizing chords and chord progressions. Go ahead and click the button below and I’ll email it to you right away! 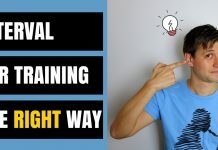 With some of these fundamentals under your belt, you will have set the groundwork for a solid ear so that you can start using it to make actual music. 24/24. I'm a classically trained violinist, and have perfect pitch. Still have to work hard on good improv lines, tho! I do memorize tunes pretty easily, and hear chord progressions pretty well unless they're more challenging, like W. Shorter, Monk. To my surprise, I got 24/24 which is something I never thought I would get. While in music school studying classical piano, I would not get half of these right. I truly feel that starting to learn and play jazz in the past 2-3 years has made my ears so much sharper and that's probably the only reason I got all of these right. But even though I hear these intervals individually and isolated, it's much harder to hear them while playing standards and trying to improvise especially with a band. I have an easy time scatting and singing a solo but I can't translate them to my fingers on the spot so it's still pretty hard for me to solo well while playing a standard on the piano. Any advice?! I got a 10/12 on the first part, going up then a 1/12 on the going down. I kind of knew that the going down was going to be harder for me because I have never been good at intervals going down, so guess that I need to work on that. That what the quiz is for! Glad you know what to work on. In real time, results are bleak, think is out, not than bad but i had fun. And I am encourage to learn this language! I messed up tritone and M7 descending. I did a lot of practicing with the free UCLA music theory app and found a familiar melody for each interval (M2=Four, m3=Georgia, P5=Star Wars, m6=Manha Carnaval, etc). And I practiced a couple hours and now it’s ingrained! I had all the ascending easy, but descending was a bit more challenging. I guess I need to find familiar melodies for those too. minor 6 and minor 7 descending were the intervals that I had a problem with! Great that you were able to identify that! Hunned percent. Whats the next level challenge for intervals? Took it twice: 5/12, 3/12 then 6/12, 4/12. Sign me up. Hey Dan, all is good! That's exactly what the test is for. Now you know where you stand! At least there was improvement on the second time there was improvement that's all that matters however, you should still practice. 100 percent , found going down took more time though .. had to think harder .. so think I need to practice these more. Great test worth the effort. Great. 24/24! I have been doing ear training for a while. Previously I had no ear at all and it concerned me greatly. Luckily it's a thing that can be learned. It's has opened up so much in what I can hear and appreciate in music. It's such a valuable and enjoyable skill. 12/12 going up, 9/12 going down. Down is definitely harder. Great test! 14/24. The downward intervals were definitely more challenging. They always are! Glad you got in there and took the test. No worries, Dina! That's what this quiz is for, to help you improve. got all right, bit slow sometimes. Got all right. I was too slow. Want to be faster on recognition of intervals. Great job Wanda! A little bit a practice and it becomes second nature! Glad to be of help Oluwafemi! 22/24. Both mistakes downwards. Nice exercise! my inner voice isn’t letting me get credit for this. It’s too basic and I was too slow on too many of them. Hey Madden, you are absolutely correct about context when listening to a recording. Learning intervals are a stepping stone to hearing chords, and chords to chord progressions. When those basics are down pat, it's all about using those foundations as an advantage. 22/24 Misheard a 6th and a 7th. Nice quiz. Great score Cheryl, and glad you enjoyed it! Tim 16/24. Missed minor & major 6ths & 7ths ascending & descending. Embarrassingly the octave ascending! Nothing to be embarrassed about! All it takes is some practice. 22/24. Great ear training for descending intervals, which I never really practiced. I Missed the descending. Tritone and thought the Ma 2 was a Ma 3rd! What I feared, what I knew ……………………..12/24. A lifetime of relying on sheet music. Hey, no worries Ed! Working on some of these basic fundamentals like intervals is a great place to start for getting those building blocks in place. Have to know where you are at in order to improve! All good ascending, but was surprised to miss 3 on descending. Didn't think I'd get any wrong. Not a worry Ron! Just helps point out which ones you may be confusing with each other. Happy practicing! 100 percentage points…I still can't play though…HAHAH! I perfectly hear the tritone, though ! Yeah, Tritones are easiest for me too. I remember it by associating it with “Maria” ( West Side Story). Starting with a 19/24 score. It was those pesky descending intervals! datroyer, no worries! Keep practicing! 'Take the A-Train' start's with a rising major 6, if you can sing the next 4 notes after said interval you have your answer! 'Weaver of dreams' also start's with a descending major 6. 'Black Orpheus' start's with a rising minor 6. 'Chega De Saudade' also start's with a descending minor 6. Get to know these tunes in various keys and your problem will be solved. No worries! You got this! 22/24. I actually pleasantly surprised myself! I just need to work on my 6ths and 7ths. 23/24 because I was stupid and wrote the wrong one. Aced it….might be a bit more challenging if you varied the starting note. Hey Jackie! Glad you aced it! Certainly, this is just a starter test. Moving the root notes, and then next being able to sing the intervals from a reference note is a good next step. 5/24 (2 up and 3 down). I guess I have some work to do! No worries! This stuff takes practice and it looks like you've got a good start! Not sure if I should count it as 24/24 or 21/24. I heard all the intervals perfectly……..but when I think of C going down to E, I think of the downward C major scale and think if it as a major 6th (but I realize that technically the official 'name' is a minor 6th). Same with C down to A. So my ear is fine (actually I was born with perfect pitch which I'm losing with age) but my musical theory/naming is suspect. I realize now that when you go 'down' you are supposed to be thinking 'up' in terms of the scale. (C down to A….think A up to C and its a minor third). Yes, it does. That 's why descending intervals can be deceiving. You have to let go of the scale. No need to take the decending test. It's amazing that I can play an instrument at all. No worries jazzhack! All it takes is practice. You've got this! 21/24. Intervals going down mess me up and 6ths and 7ths seem to take me a while. I was slow but chuffed I did that we’ll considering my Aural classes at school were sooo stressful for me. 21/24 Still getting Thirds and Sixths confused. I haven't tested these in a good while. 23/24. It was absolutely a great exercise! It's true that the descending intervals are more difficult. And the amount of time, you spend on recognizing the interval is too long, so I guess the next goal is a quicker response. Thanks for all the great material you post! 23/24. Messed up the tritone going down. I found the descending intervals were more difficult to hear. Glad I found these posts on ear training! Looking forward to carrying on with the next one…thanks! 24/24! Coming down, had to be sure not to misspell what I was hearing correctly. Such as M2 was really m2, M7 was really m7. So on so forth. But yea, heard them all correctly. Just working on speed is the next step. Intervals going down are always more difficult! Keep up the practicing! 10/24. My ears have always been a problem for me. I've been working on it and will continue to do so. Thanks for all the great resources. 24/24 — a couple on the downscale were messing with me. 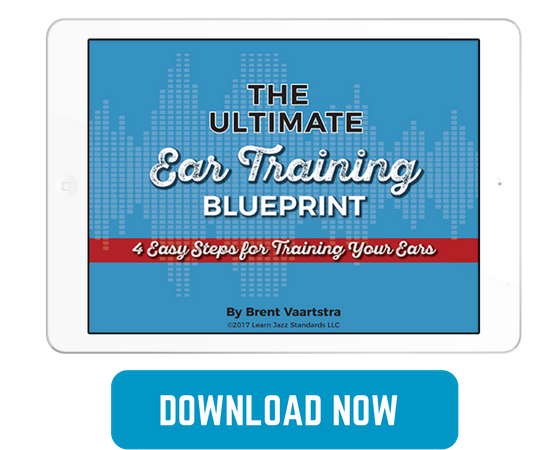 Great resource – look forward to more ear training. I've learned by ear for a long time, but being able to catalog these things mentally is huge and jazz offers a lot of material to work with! 😉 Thanks. I got maybe three right, a couple that were pretty darn close, the rest, way off. Given that the answers here are revealed, what's the best way to continue this training? 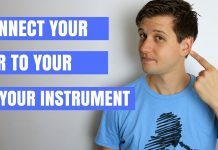 Just by using your instrument and practicing them so they can be better heard? What I have been taught is to associate a song with each of the intervals. I'm posting a link with a chart of several songs that utilize each interval, if you wish to use it. 24/24 ! i was not too good with 6th and 7th. I've trained it three days and now its fine! 🙂 it help A LOT to find a song that you know very well for each intervals (a different one for up and down). I noticed that the most simple songs from childhood works quite well. Thanks Brent! I hope no one minds if I supply my answer some of the very basic questions here. It's like keeping my hands on my own issues. Thanks, and all the best to everyone at LJS and those who come here looking for good answers to important questions and wonderful play alongs. One of the best ways to really learn a new standard is to play along with the masters. Those videos follow along immediately below the recommended one. Some are in different keys, so, do those after gaining some confidence in the assigned, and mostly original or most played in, keys. 12/12 for up intervals and 10/12 for down. One thing the helped me was the comparison of my answers among questions: 3M is half step above 3m for the up intervals and so on…). Great exercise! Thanks LJS! this is not working! 🙁 dunno why! Get 2 chromatic pitch pipes, one for the first octave above middle C (C4 on the piano to C5), and one for the octave below C4 (C4 to C3). After you have mastered those intervals with the pipes, create your own in all 12 keys. It's called ear training and will boost your abilities to hear and recognize notes as you play, and hear others play. 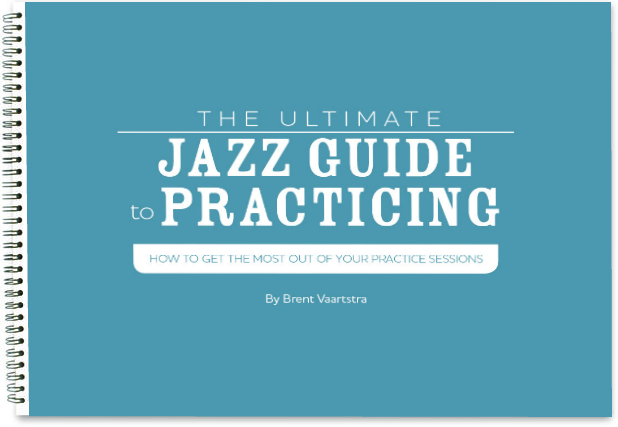 Nothing is easy to do 1. on your instrument (even as a vocalist), and 2. with jazz in general. Ear training is paramount to Jazz because of its complexities, especially the Standards here at LJS and with Aebersold, Alfred, et al, discs and music. 24/24. I've been working ear training for a few weeks, 10 minutes per day.At the moment I'm doing it with differents roots (randomly). What should I do next? Thanks for posting this exercise! Next would be for you to continue your 10 minutes a day as you practice your instrument, then as you play along with others/discs, LJS, et al. You should consider writing out those intervals on manuscript paper, in all keys, move up a 4th each time (most music resolves up a 4th) and play through all 12 keys. Have fun with it. The next time through reverse your intervals. And play, man, play. I need much more work on interval training > I missed 14 out of 24 a 42% score but my wrong answers were within a 1/2 step off .Is this relative pitch or what. How do you count or call the intervals descending? For example, from the 8th octave down to the 7th (Ti in solfege) called a minor 2nd down from the octave or better yet 8th octave down to sol is a 4th on adescend from sol to octave do or is it called a 5th descending? You can see the misnomer in calling the interval when you're in a descend. m+7, Aug, dim vs dim7. If someone can advice some good courses or app it would be much appreciated! Listen, listen and listen more to those chords that play Major then Minor, then Major then Major flat 7th, then Major then Minor 7th. In other words, play and compare. The 3rd and the 7th tones in a chord define the chord; always. If you play a chordal instrument play those chord to chord combinations and practice listening every day. If you play a melody instrument get a small electric piano, if you don't have one, and play those chord changes. In fact, that is the very recommendation that I hear Jamie Aebersold tell every melody instrumentalist. I haven't seen an app that is advanced enough to help you with those. As you may already know, a diminished chord is made up of stacked minor 3rds. 1. Play them over and over. Happy motoring. And remember that there is no easier way to learn to play Jazz. Down 10/12, I need to work on 6ths ! Crap !! 14 / 24 !! 8/12 on the first half all half tone errors except 1. Much worse on the second half 6/12 with 2 a tone and a half off. ButI've never thought of descending intervals – EVER ! No worries Joe! That's what this is for, to help you practice.